Memories…One of the hardest decisions it seemed, at the time, was to decide whose turn it was to stoke the fire at various times throughout the night. For some, getting out of your warm sack to do this is quite the chore. I was usually spoiled at a young age and was able to stay warm where I was but often heard my dad rummaging around for another log or two to stoke the fire. Although that was 30 years ago, it still feels like yesterday. Having a wall tent provided some amazing comfort and as a child, it seemed like a castle to me. 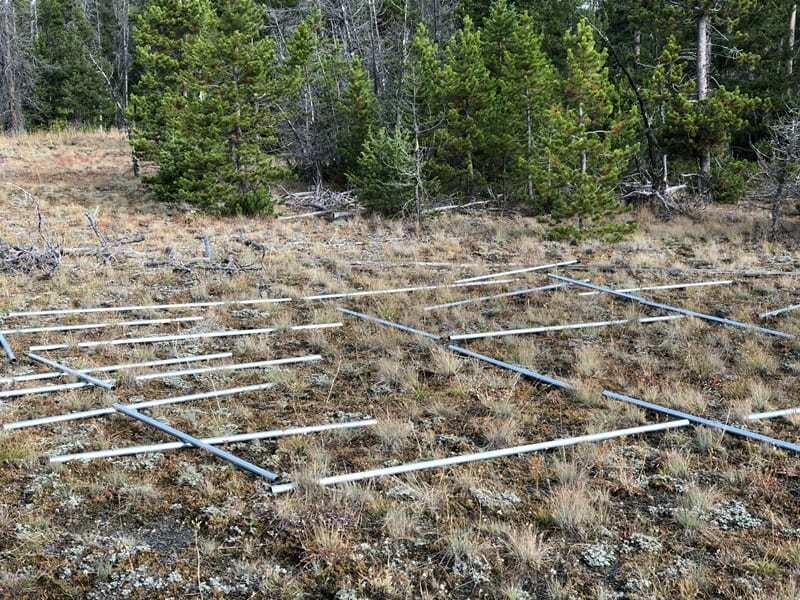 Arriving at camp and finding the perfect, straight, small diameter trees for the ridge poles and frame was a chore that came with the setting. That wall tent and the experience it gave me made an impression on me and I always craved owning my own, but never took that step. I craved the faint smell of burnt wood on my clothes again and that of canvas in the air. 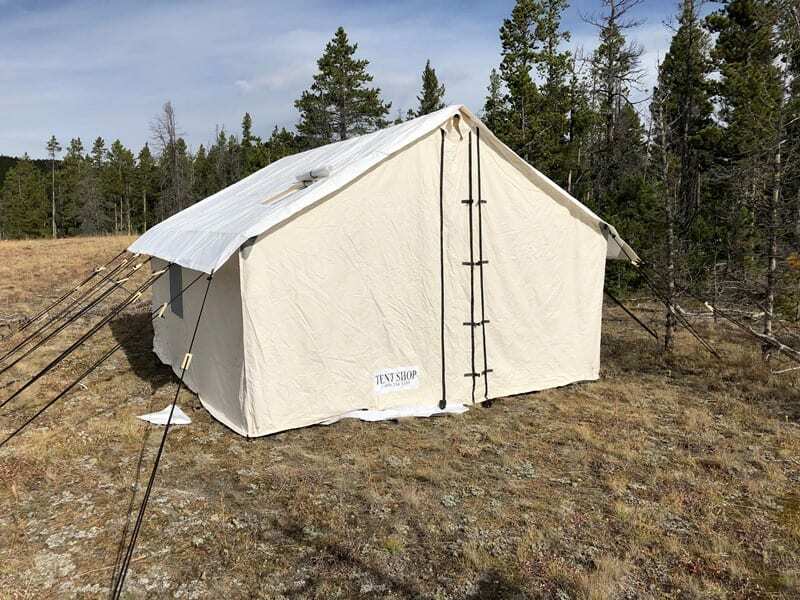 When I was given an opportunity to do a review for the Wall Tent Shop you can only imagine my excitement as it brought back many memories of the past. 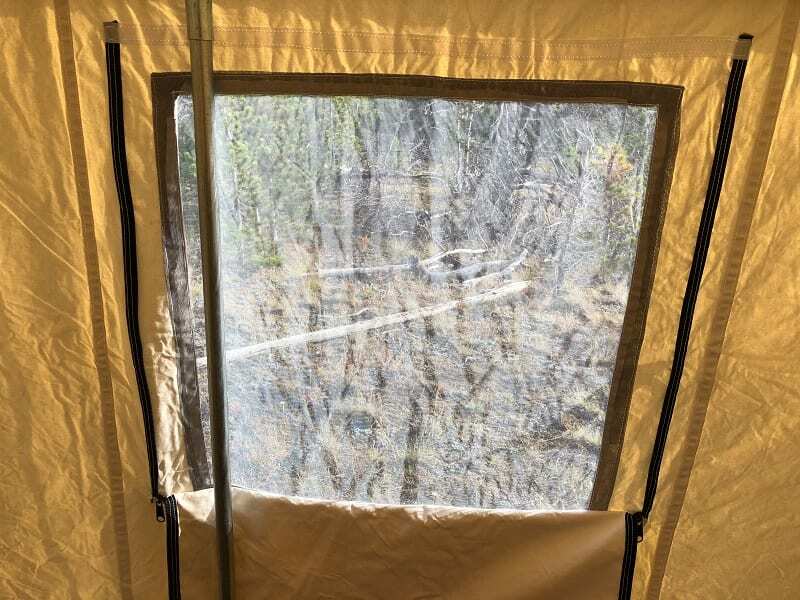 I realized that this was an opportunity to get back into using a wall tent and to share that experience with my children! The excitement was very real! Order yours here. Up to this point, the only reason I didn’t buy a wall tent was like most others and the many reasons I have heard. I didn’t know which direction to go…what company? What tent? What options? What size? Cost? Etc… It can be quite exhausting if you do not know how to go about getting your first canvas tent. 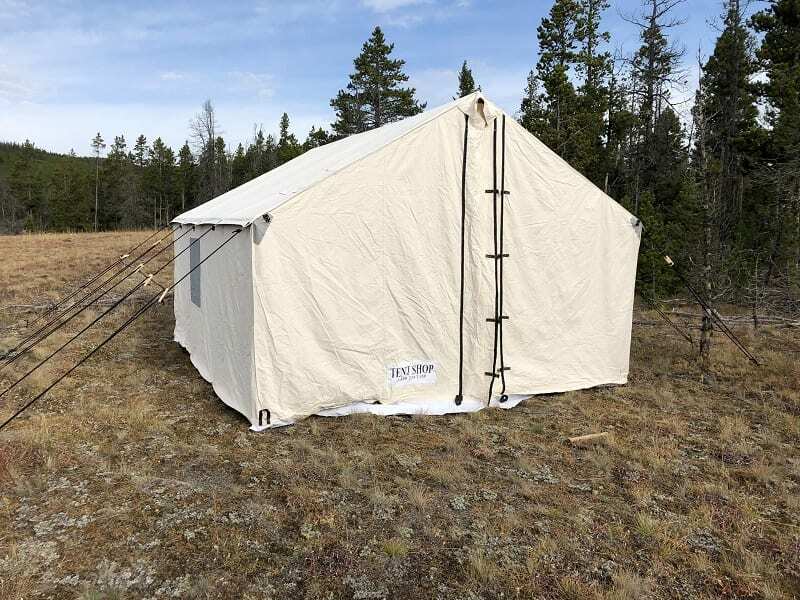 What is The Wall Tent Shop? 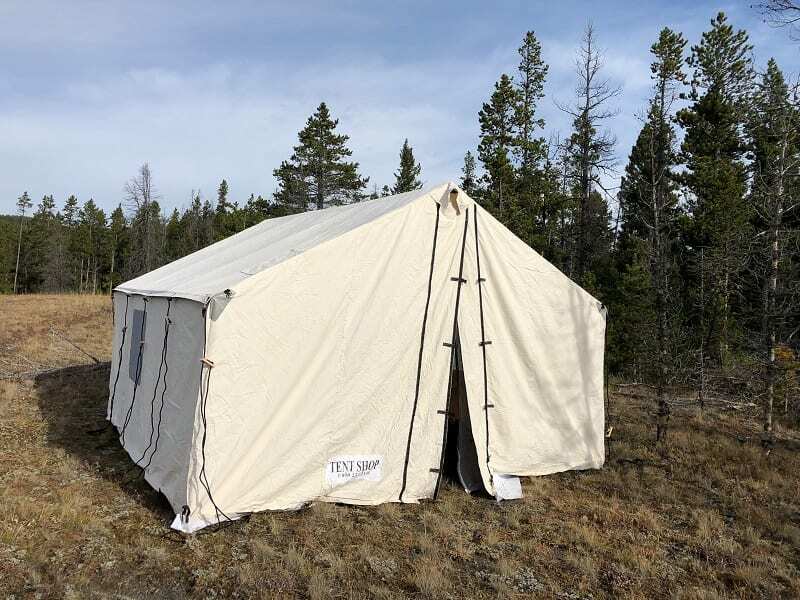 The first thing that popped into my head was to check out the facts about the Wall Tent Shop and to read more about their business model. I was happy to find out that it is a Veteran owned company ran by a retired Army Colonel, Richard Tuck. As a veteran and still serving in the National Guard myself, that made the fit to do a review that much more important to me. I began working with the Wall Tent’s guru, Tyler Beck. This guy has been beyond helpful with the decisions and options I was faced with. Windows, doors, size of tent, stove and various accessories. Tyler was quick to help me with these decisions and made the entire process almost too easy! 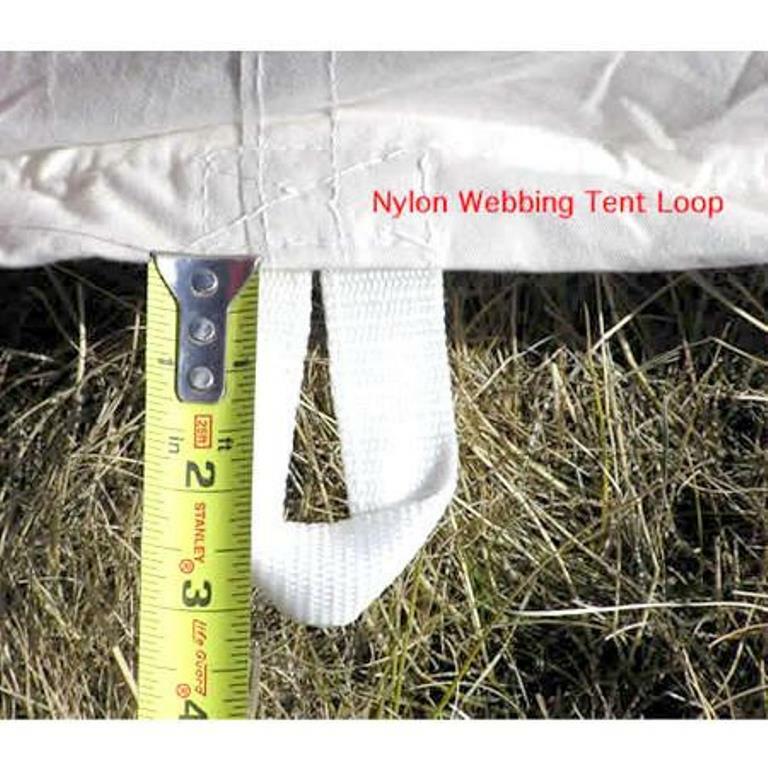 A question that came up during the review of the tent was that concerning as to where the tent is made. Many would think that made in the USA would be stamped on it since it is a Veteran owned company. I too used to think that way but in order to supply some of the best canvas available, Richard went elsewhere and for good reason. This may make some reconsider buying due to not being made in the USA and I get that. But you cannot argue a successful business model and their decisions either. Below is why. Richard started selling tents for other companies at first and ran into logistical problems with their products and services. The first problem Richard ran into is that the companies he was working with did not keep most tents and accessories in stock. It was anywhere between two to eight weeks before the tent could be shipped. This is not conducive to business if you have clients who need tents quickly and some who need multiple tents quickly. The second problem Richard ran into is that the companies he was working with did not include all the standard features you would expect in a tent. Some companies didn’t include a tent bag, stove jack, ropes/tensioners, re-enforced corners, or extra canvas on the ridge for reinforcements. These are all things Richard would recommend to the customer. Suppliers wouldn’t make them standard this way as they did not want to stray from their design and business plan which Richard understood but he wanted to offer a better option for customers. So he began his own search for a canvas tent supplier that offered all the features that he felt should be offered. For the reasons listed above, Richard decided he wanted to design and stock his own tent. He wanted his tent to have a full 5’ sidewall, reinforced corners, a double layer of canvas on the ridge (this is a high-stress point and can be damaged if you are running a lodge pole system and do not properly remove the bark on your lodgepole), D-rings sewn into 2” webbing instead of grommets along the eaves (grommets can tear out over time), a storm flap with buckles on all zippered doors, a sod cloth, a stove jack, and to come standard with an extra door or window on the back of the tent. He also wanted to sell more tents at a lower price, than fewer tents at a higher markup. 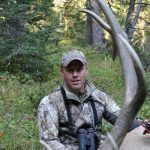 Being a passionate outdoorsman he wanted to make it affordable for individuals like himself to enjoy the outdoors without breaking the bank. After approaching his suppliers with his tent design and with none of them being able to accommodate him at the price point he desired, he started to look elsewhere. 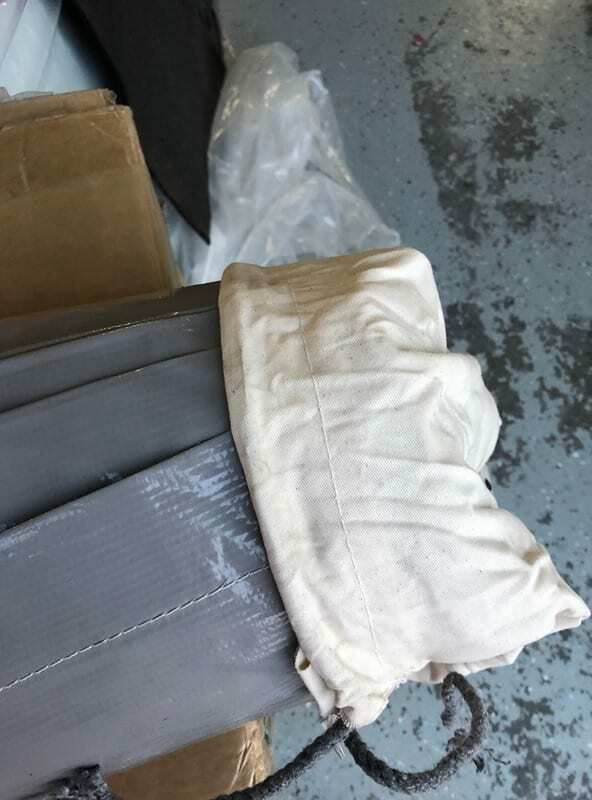 Richard made contact with a company located in Pakistan who has been building canvas tents and other products since 1869! He ordered his prototype and the Wilderness Tent was born. Having a close working relationship with the tent supplier has allowed them to build the Wilderness Tent to exact specifications, featuring all of the necessary components you would expect to find in a quality canvas tent and sell it at the lowest price out there. 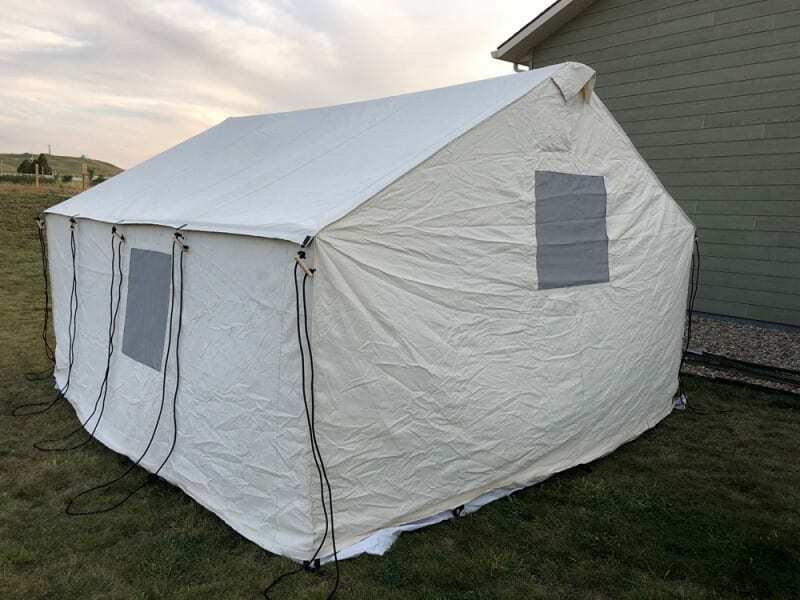 Maintaining the lowest prices on the internet while delivering quality products is very important to The Wall Tent Shop and they do a great job at that. Initially, I was going to go with a Wilderness 10’x12’ tent but upon reading about size selection I upped that to the 12’x14’ in a hurry. Keep in mind with each size increase comes that much more material to have to pack for the trips you plan to take. 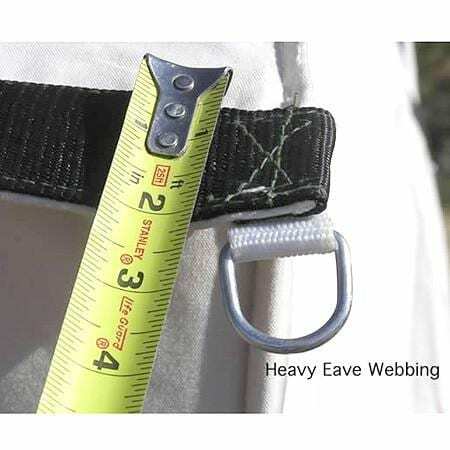 But to address the biggest issue of what size tent to get, take into account how you will be hunting and also check out this link for sizing information. There is so much information on their website The Wall Tent Shop gives you at the punch of a button found here. They also include how-to videos for those of us that learn by watching here. I also ordered a fly, the Wilderness 4 stove intended for my size tent, a stove mat and vinyl floor. A window on each side and the back wall, with a door on the front with a screen. All great, easy to choose from options and sold as a package. The shipping process of the tent and all the components was fast. 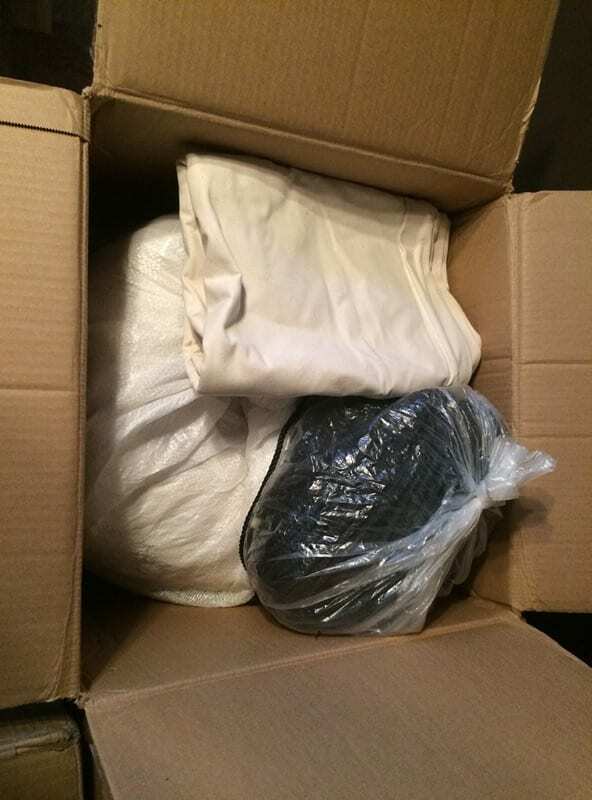 Everything ships out within a day or two after ordering and come with free shipping. The staff at The Wall Tent Shop was very helpful in helping me determine everything needed. I would say some of the best customer service I have experienced in years! 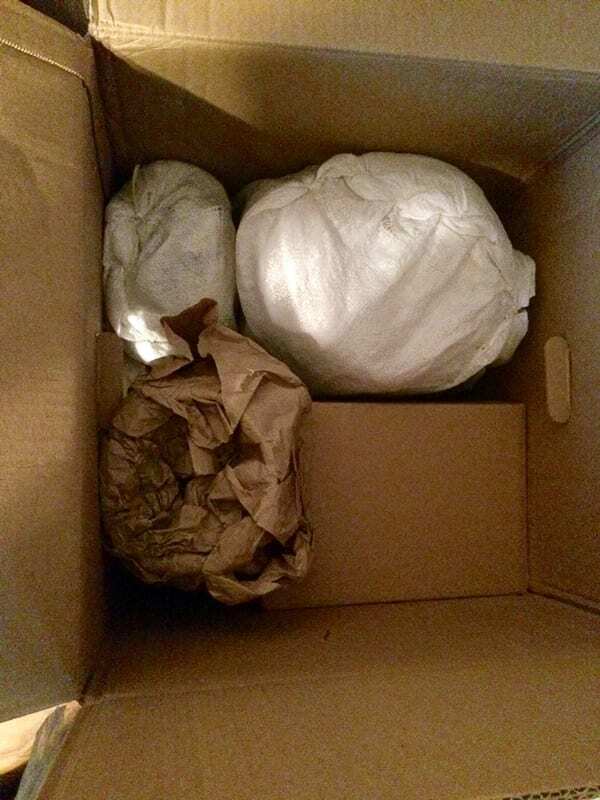 I felt spoiled as I began to take the packages apart. There was a difference in this tent then what I was used to growing up. 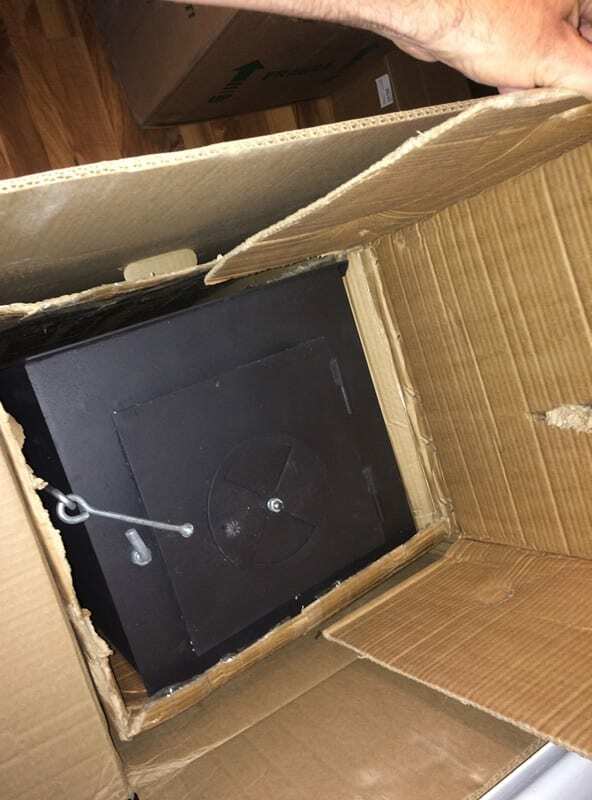 This tent came with a frame kit! No more searching out those straight trees for the ridge pole and frame. The EMT steel tubing and angle kit came precut and ready to go! The Wall Tent Shop went above and beyond ensuring that I was sent a precut kit that was ready to go. They measured everything for me and sent it that way to speed the process up. The better option for others would be to buy your own EMT steel tubing from whatever building supply company near you and cut them yourself. This would save you anywhere from $150-$300 depending on what you go with. 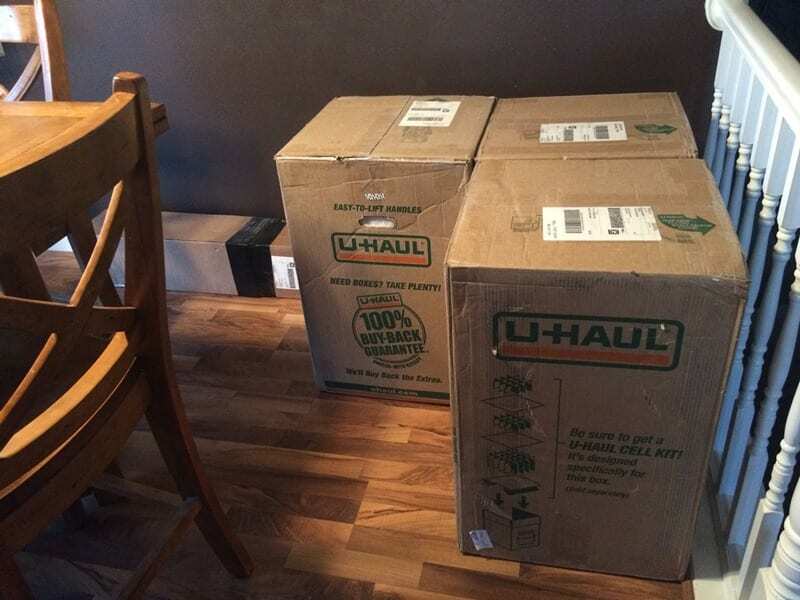 Doing it this way allows all to save on labor and shipping costs. This is also a good excuse to get your hunting buddies over to help cut the poles and to share on the experience with you! They are easy enough to cut using any common power tool or hand saw for metal that you may have lying around. Before going out on the first hunt, I assembled everything at home to familiarize myself. The setup was extremely easy and fast; easily accomplished it by myself and in quick time with the help from my family. I had to cut and assemble the poly tie down ropes with the tensioners and preassemble everything. Most wall tents need to be cured as well but I was also sent a fly for the tent that doesn’t require me to do this. If you don’t go with a fly you will need to cure the tent my setting it up and soaking it with water and letting it dry. 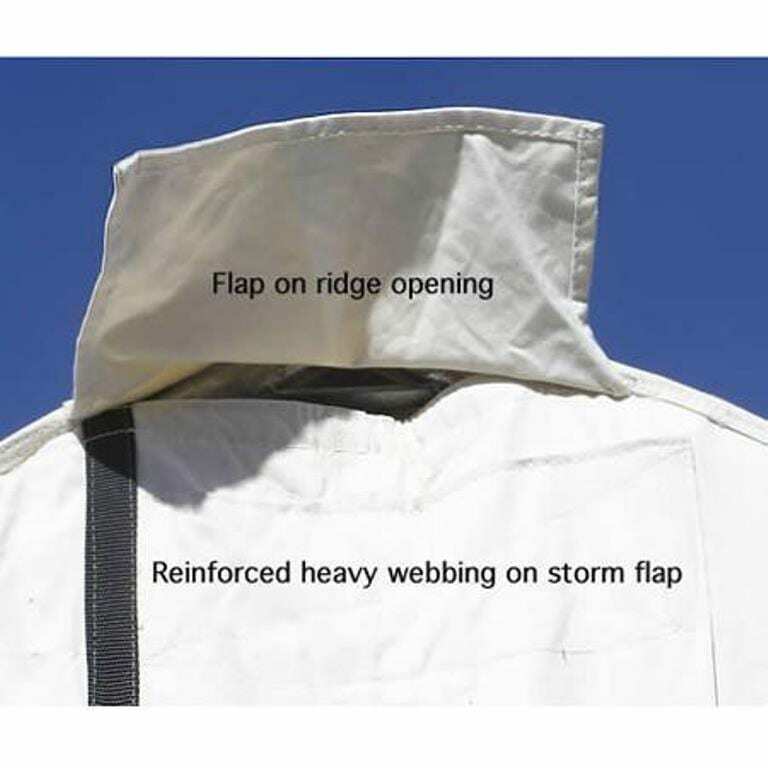 This will close up all the seams in the canvas and help prevent leakage. The Wilderness 4 wood burning stove needed to be cured as well. This is a very important step and you do not want to be doing this when you are out on your first hunt. The paint on the stove needs to be cured by getting it hot to bake the paint on. There are fumes given out that you do not want to inhale. It took about 2.5 hours to do and the smell of baking paint went away and the stove was ready for my trips! I was corrected by Tyler and was made aware that the spark arrestor is to be the first component on the stove before the stove pipe. This has been a learning experience and I love that about this review! There are charts to help you decide which stove for whatever size tent you are running. 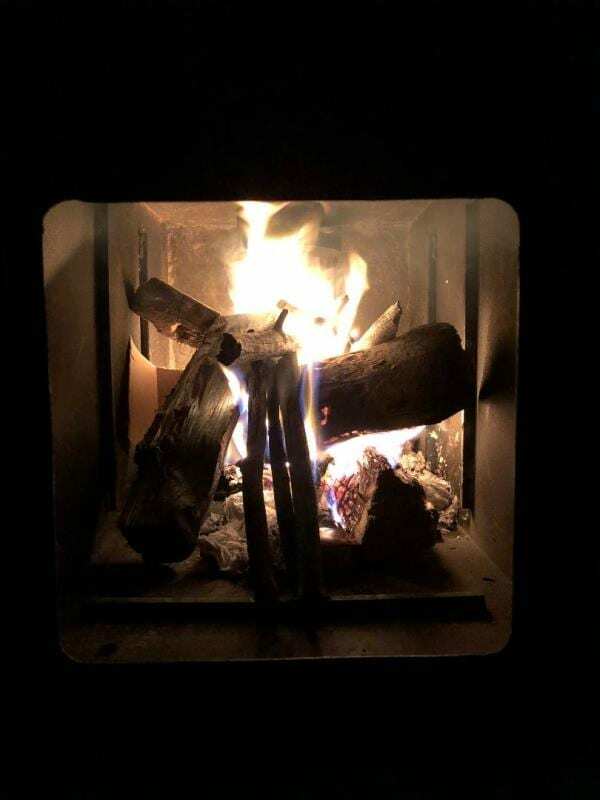 There are several options as well for the stove to include a cooking shelf, water tank, internal grates to help the wood ventilate and burn better, as well as stove mats for under the stove. Be sure you have a spark arrestor, the proper amount of stove pipe and a rain cap. 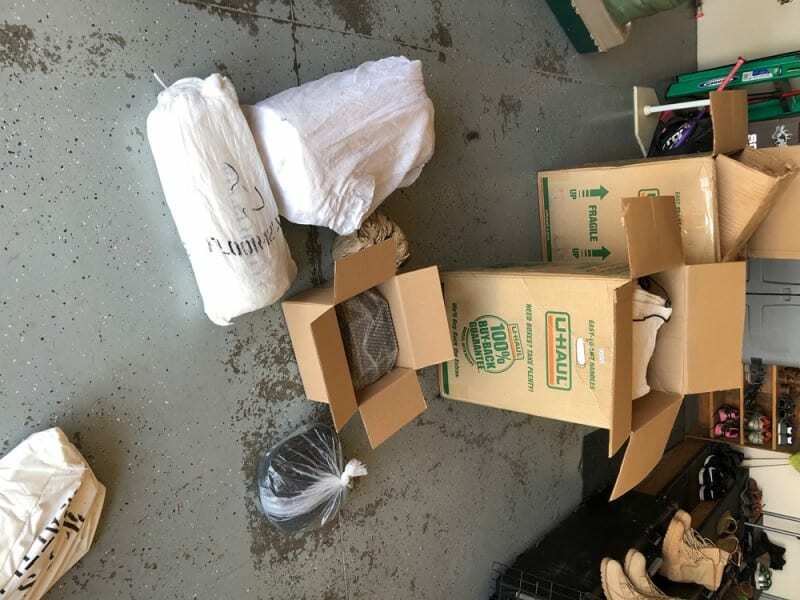 This all seems like a lot of items and can get confusing but the staff at The Wall Tent Shop is more than happy to answer all your questions and to help you out! I didn’t have any major issues with setting up the tent. There were only a couple small complaints with the process or how the tent is designed. First, the small holes in the metal tensioners were less than adequate for the size of poly rope I was sent. 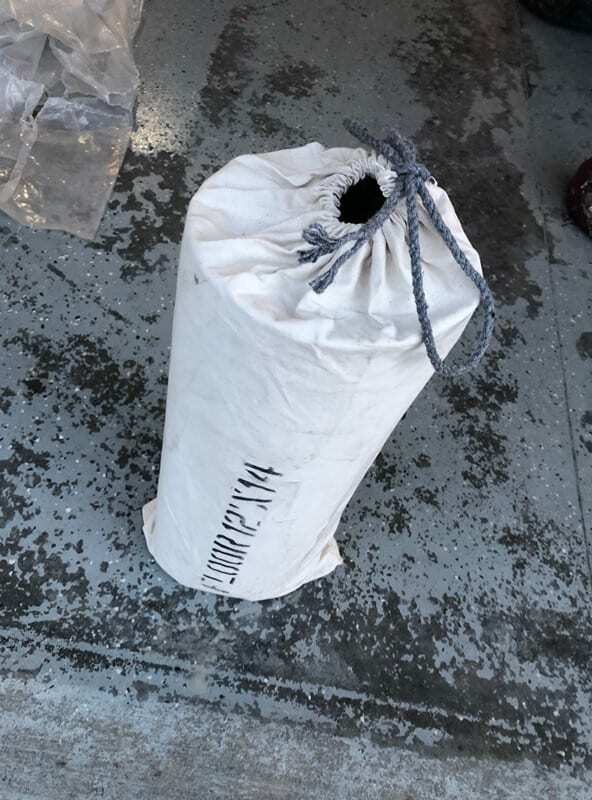 These were a pain to get the ropes into and I opted to stick with the wood tensioners instead until I am able to make the holes larger in the metal tensioners or get smaller rope. 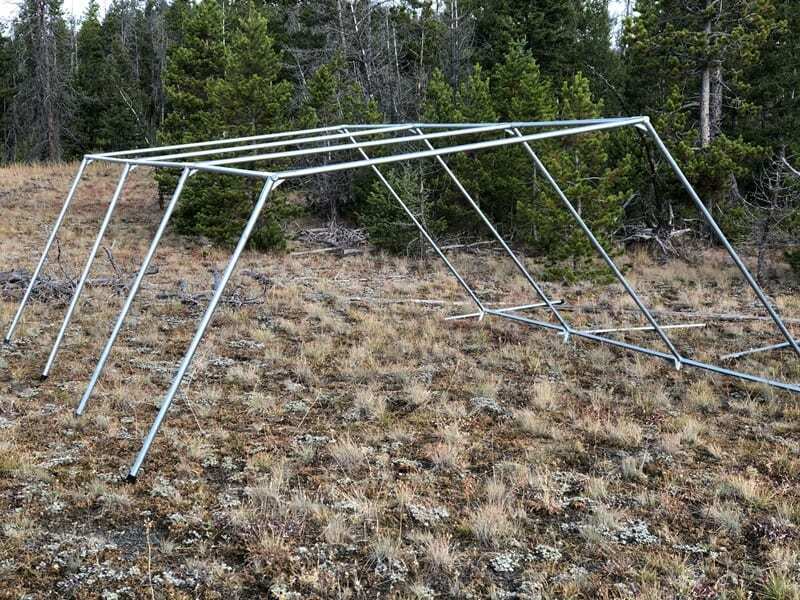 Because I will use this tent in areas where extreme snowfall can happen I was sent a frame kit that gave me four rafters instead of three to help carry the load of heavy snow. Because of doing this it made the frame interfere with the side windows making opening the window a bit awkward but easily lived with considering the extra strength I gained adding an extra rafter to the mix. Again, this is a very small factor and doesn’t hinder my use of the tent in any way whatsoever. But people may notice this. 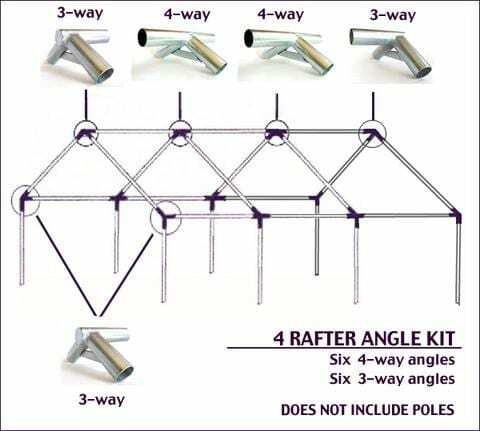 If you stick with the standard three frame rafter for a 12’x14’ tent you will not experience this but I would also want the extra strength. There is a tradeoff there but ends up being a benefit overall. So this really didn’t end up being an issue at all after considering what I gained with a four rafter setup! What needs to be noted is the extra re-enforced areas of this tent. Unlike others, this tent has all the re-enforced areas that several other tents on the market lack. The sewing and webbing are done stout and ready for heavy loads for sure! The full-screen door front also makes it nice for those warmer days. The tent seems like it is a bit bigger than the frame but this is for good reason as the tent will shrink a bit over time. This allows for that shrinkage but don’t confuse this with a complaint. 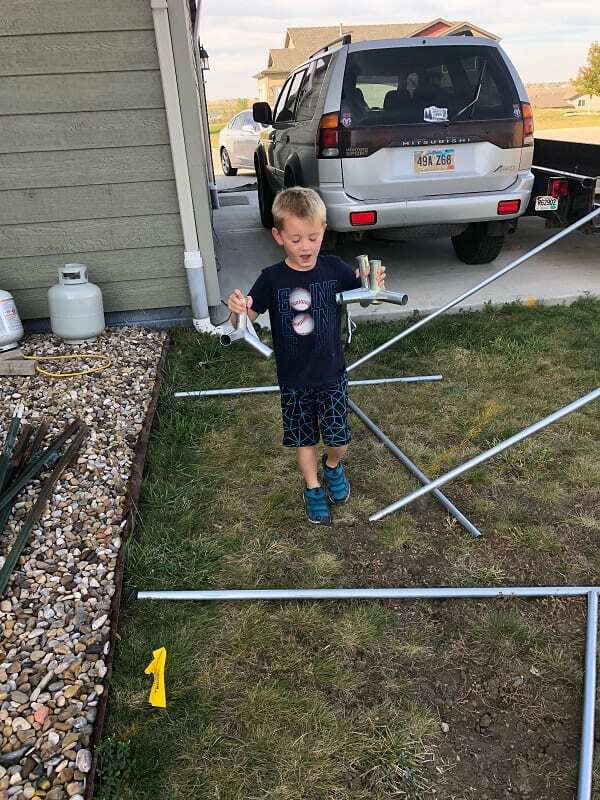 Just remember that when/if you cut your own poles ensure you leave the frame a bit smaller than the tent to account for shrinkage. 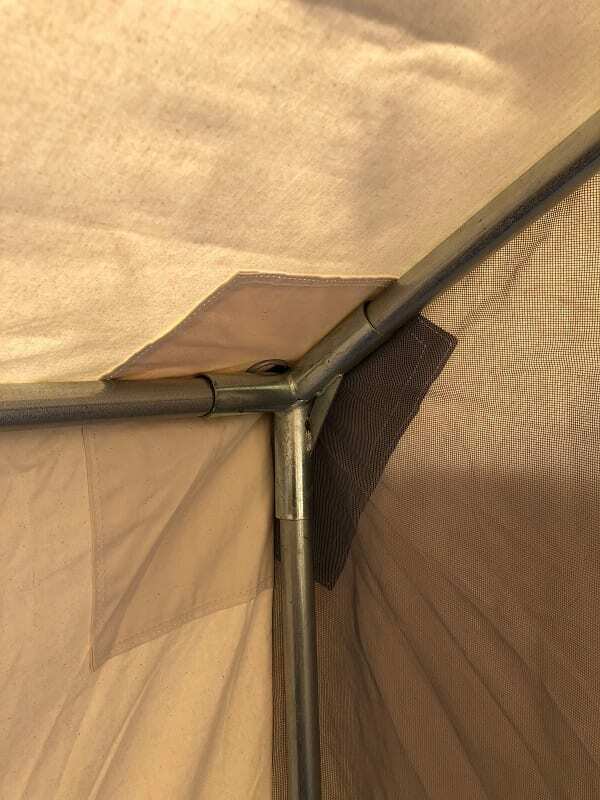 Another thing to remember is that if the tent shrinks too much it is addressed easily by cutting off small sections of the frame tubing. Easy enough to do! 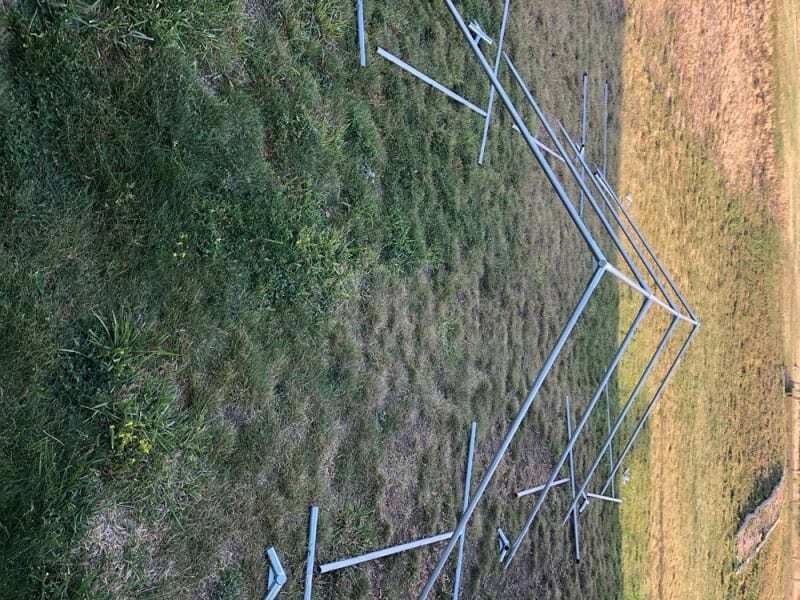 It came with rebar stakes to hold the tent in place that were very durable. The five foot sidewalls are a great option and add more room as well. Four foot walls are just too short for this guy. The manufacturing process of the canvas tent was done very well. The seams are all in their proper places and stress points are reinforced to take on the extra load that these areas experience. The Wilderness tents are of the highest quality army duck-double fill canvas and are water and mildew treated as well. Keep in mind though that if you put your tent away damp or wet, be sure to set it up to air out and dry once you are home. 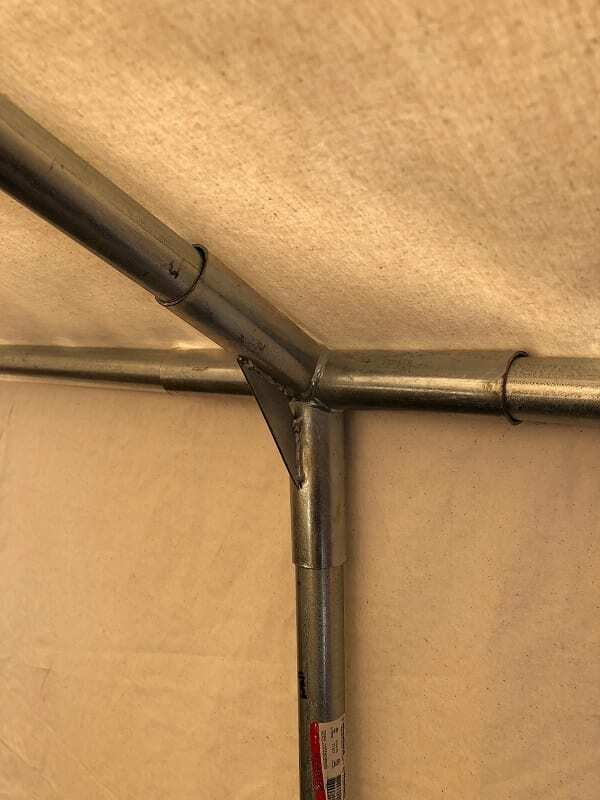 Many canvas tents are ruined each year due to this happening. As I said, you do not need a fly but I strongly suggest it. 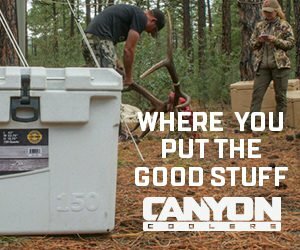 There were times it rained and/or snowed hard and the fly is a smart investment to guarantee you stay 100% dry. 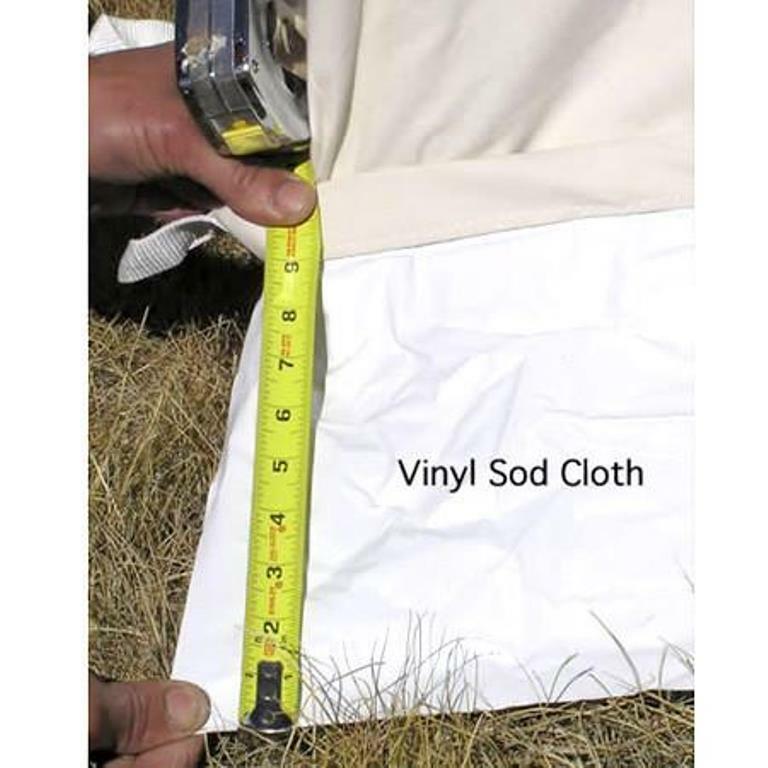 The vinyl sod cloth paired with the vinyl floor will keep all water out and keep seeping down to nothing. Up to this point, when not packing in by foot and I am able to stay close to a road, I have used my old family Coleman 8-person tent. It has seen better days. When it began to rain I was never guaranteed to stay dry or warm. It was always a gamble. 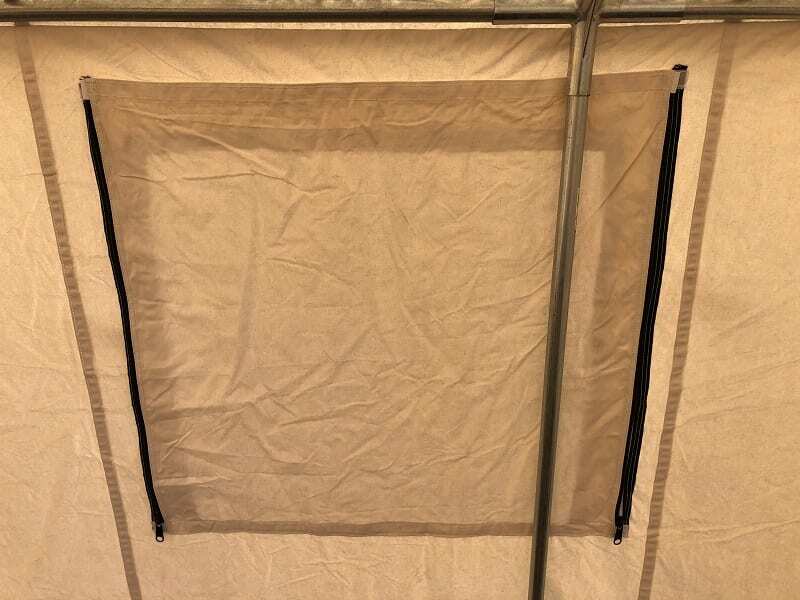 So you can imagine my excitement on the first trip with this wall tent! Again the setup went fast once I determined my campsite and I am glad I did the pre-set-up before going on my first hunt. Within 30 minutes everything was set up and ready to go. I was excited about this new experience! I think I slept the best that night on the mountain than ever before, the sound of crackling, burning wood, canvas tent, and the occasional bugle made it even better. I was warm even when I crawled out of my sleeping bag! Something that I wasn’t used to in a long time! And yes, I was on fire stoking duty most nights as my wife is hard to wake up and it is just easier if I do it and sacrifice my sleep! Coming back to a warm wall tent in the middle of the day and at night and keeping warm and dry the whole time is something I have missed! I felt spoiled, to say the least! With temperatures below 20 degrees, we would get about 4-5 hours of burn time out of old pine that was laying around the campsite. Not the best wood to burn but it was readily available. 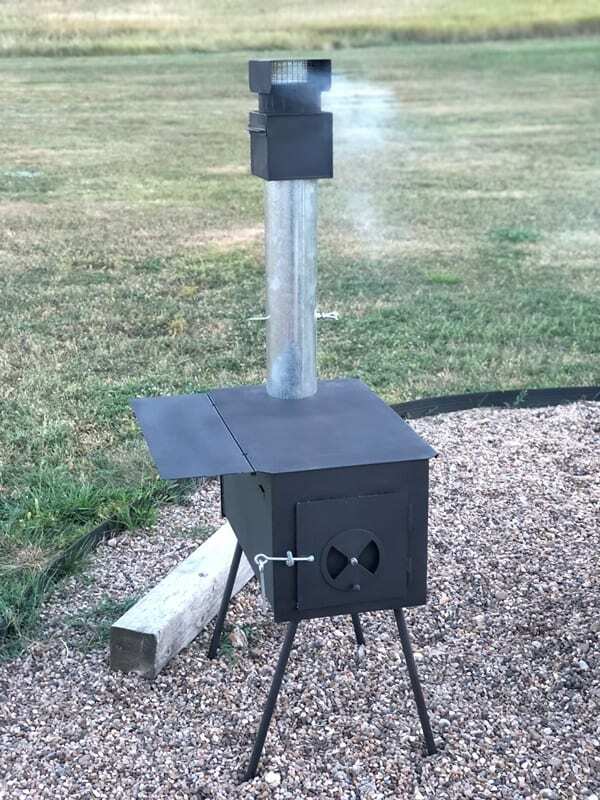 The stove performed as expected but I would recommend bringing better quality wood along on your trips if you have the room. On day three of the hunt, the stove became difficult to use. Each time the door of the stove was opened smoke would fill the tent. Something wasn’t right. 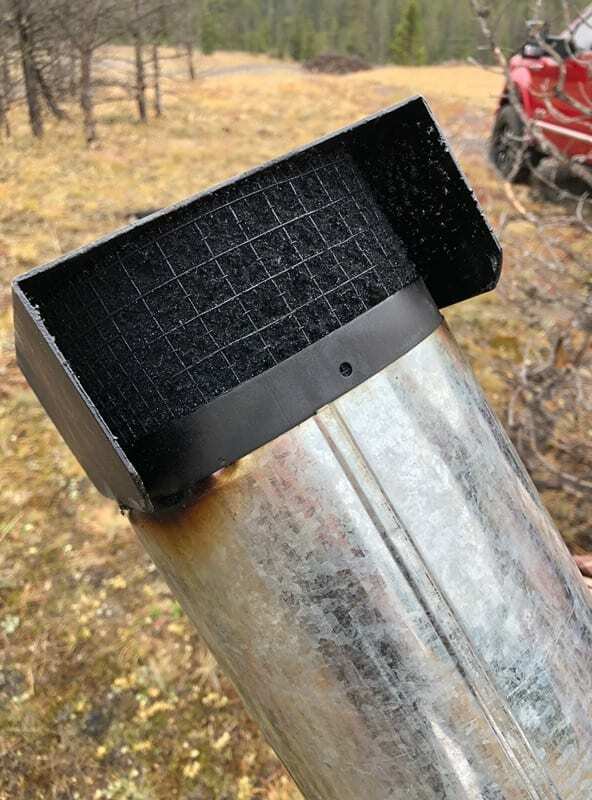 Upon further inspection of the stove pipe I noticed the screen on the rain cap on the top of the pipe outside the tent was clogged with soot and this didn’t allow the smoke to escape as it should. Unfortunately, I missed the safety warning on the Wilderness stove page “Remember to check your spark arrestor daily and clean spark arrestor as required”. I took that off and cleaned it up and things were back in working order. 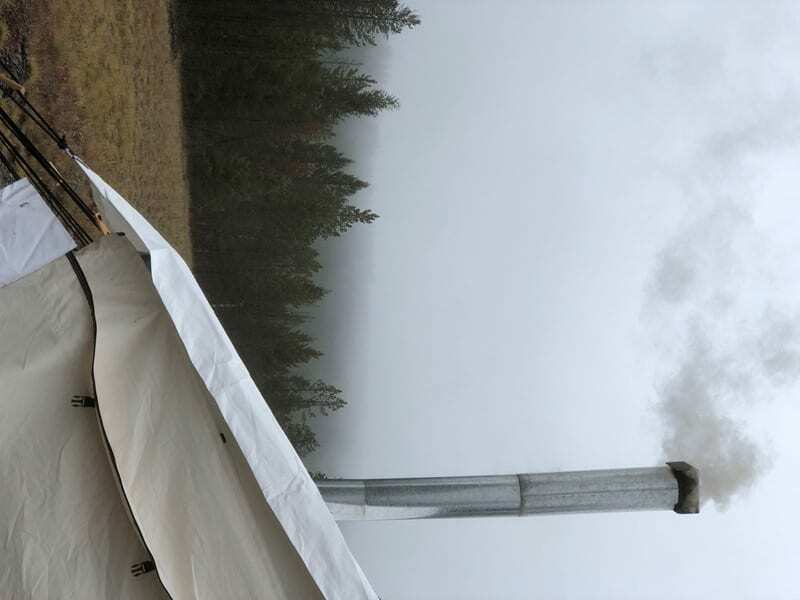 If this would not have been noticed this could be a dangerous situation putting gases into the tent. I will definitely be watching this more closely in the future! The added bonus of going with the water tank on the side of the stove is a huge advantage! Always having hot water was something that I wasn’t used to but sure makes things that much more comfortable for many reasons! 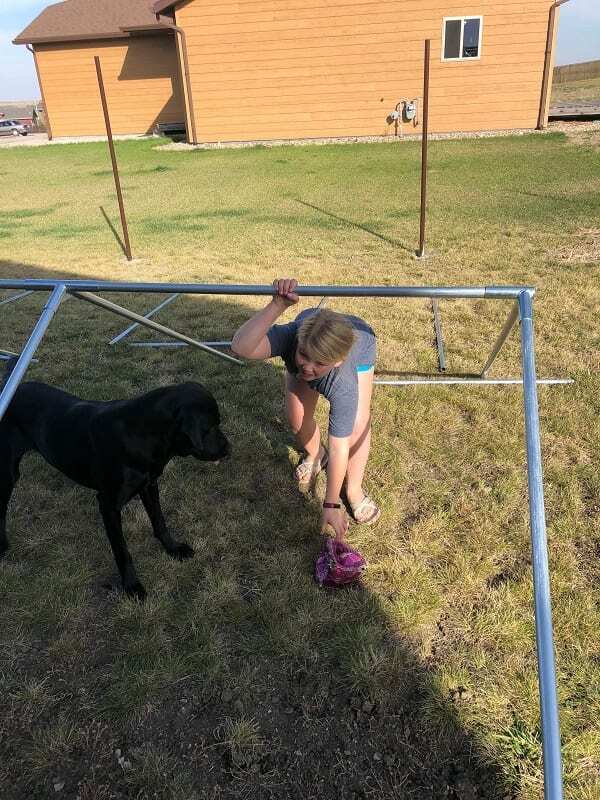 The take down of the tent and storage was just as easy as the setup. Ensuring that the tent is folded neatly ensured it went back into the supplied bags easily. All I had to remember once getting home was to set it back up to dry it out before storing it for next season. This can’t be forgotten or overlooked. On the drive home after the first trip using this tent, I reflected and thought about what needed improved or changed. Nothing glaring stood out. I had wished that I went with a size bigger tent but on most trips, it is just me and my wife going and occasionally my two young children will tag along. The 12’x14’ does just fine but the 14’x16’ would have been better versed for us when we all go on our trips. Keep in mind these tents are not light and they are meant more for road camps or horse camps. 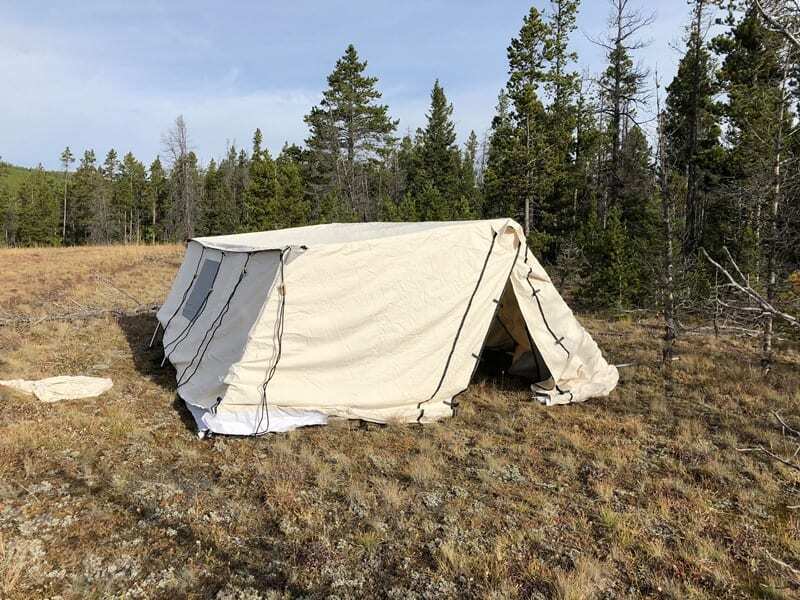 When asked if I would consider buying a tent from the Wall Tent Shop, I will always reply with a definite yes! 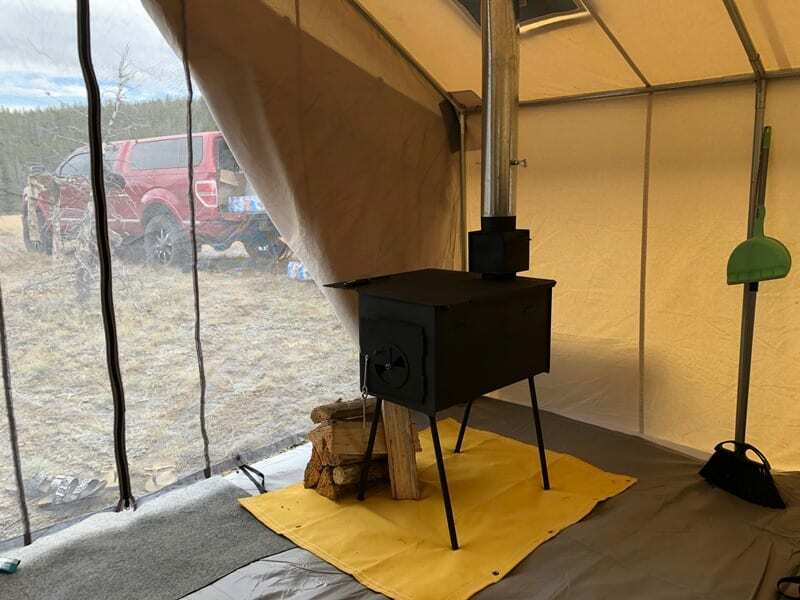 The Wilderness tent and stove that I tested is made with great quality and it shows. The minor complaints that I have are just that, minor and can be lived with and are now overlooked each time I set the tent up. 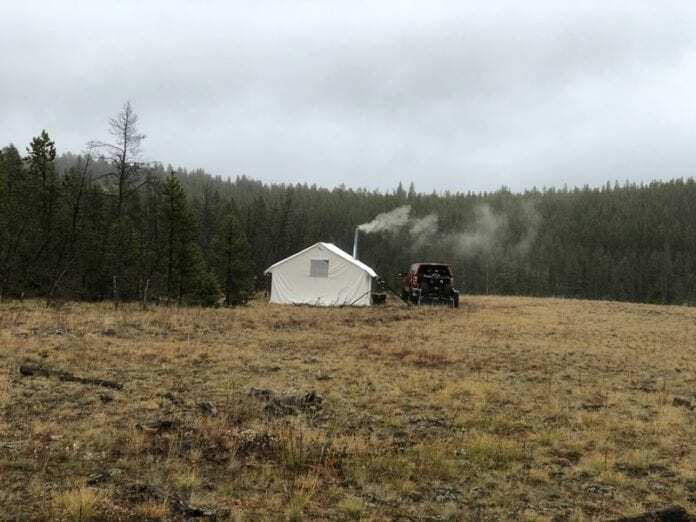 This tent has given me more of a sense of pride when I come walking back to camp; seeing the smoke rolling from the stove pipe and feeling the warmth when I enter take my hunts to a whole new comfort level. I noticed I hunted harder as well due to the fact that I felt more rested. I can attribute that to the five star accommodations that I had back at camp! 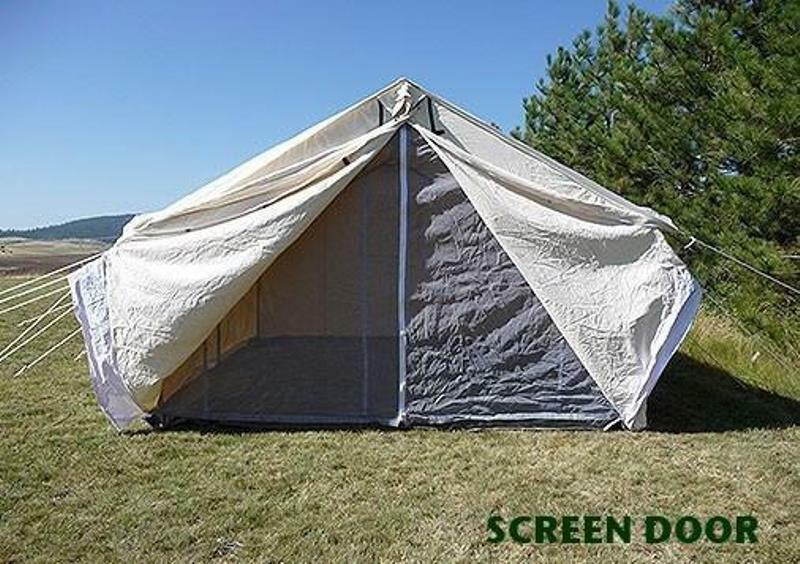 I wished I would have gone back to my roots when it came to a wall tent many many years ago! When the style of hunt I am on offers this luxury you can bet I will be using it! Order yours here. You can comment or ask Jared questions here.